AirAsia today held its first cabin crew recruitment involving the local community that saw candidates take part in traditional Iban activities at the RH Jangu longhouse in Ladong Taho. 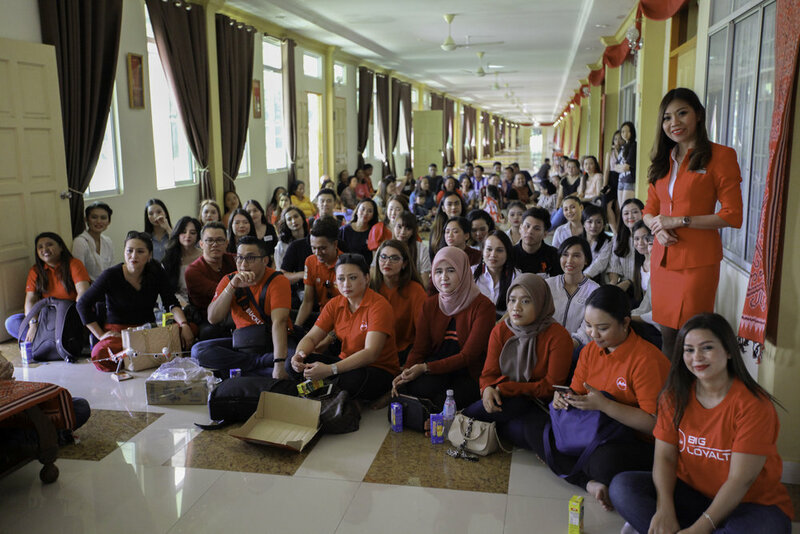 BINTULU, 28 October 2018 - AirAsia today held its first cabin crew recruitment involving the local community that saw candidates take part in traditional Iban activities. At the RH Jangu longhouse in Ladong Tahir, candidates engaged with members of the local Iban community to string beaded necklaces, tie cangkuk manis bundles, knit fishing nets, weave rattan mats, baskets and hats as well as play traditional musical instruments for taboh ngajat. The group activity was the second stage of evaluation for candidates who were shortlisted from the cabin crew recruitment drive at Parkcity Everly Hotel here yesterday, the first ever such exercise held in Bintulu. He said the recruitment drive was part of AirAsia’s efforts to further develop talent from the different communities in East Malaysia and offer opportunities for youth to pursue a career with the airline.